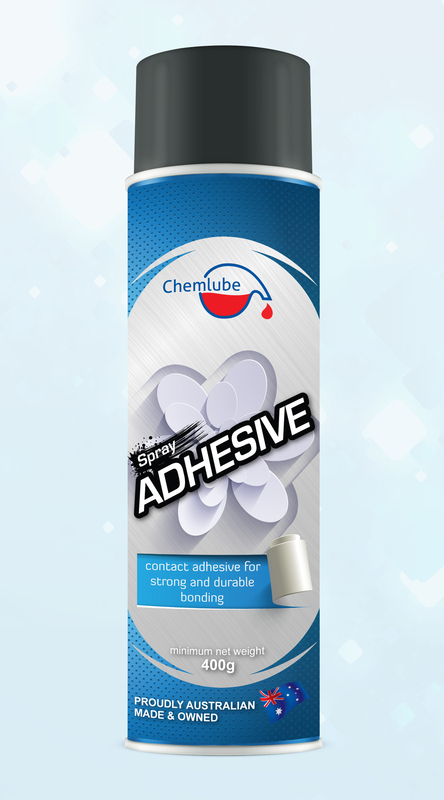 Chemlube Spray Adhesives are a convenient way of applying contact adhesives to almost any surface and are used in most industries and these three specialized products now cover almost every application. Spray Adhesive is specifically designed for art-work of many different types and is useful as a pressure sensitive, repositionable adhesive. Therefore paper, photos, cardboard and cuttings can safely be removed, repositioned or re-applied without tearing the materials. To position permanently, simply spray both surfaces, wait 2 minutes and press together. Spray Adhesive is also used in the screen printing industry for positioning fabrics in the screening process.